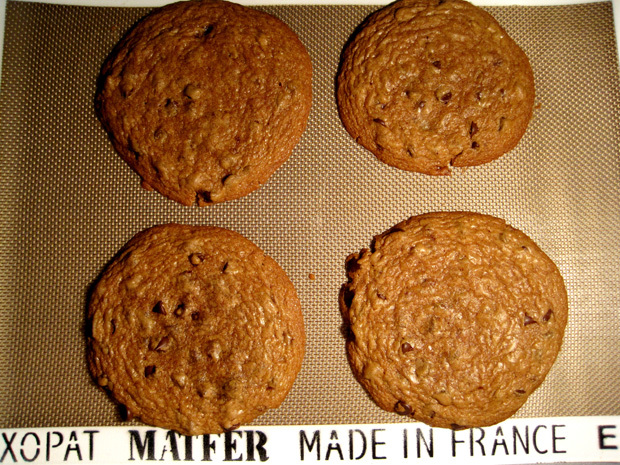 How is it possible that my year old blog does not have a single chocolate chip cookie recipe? 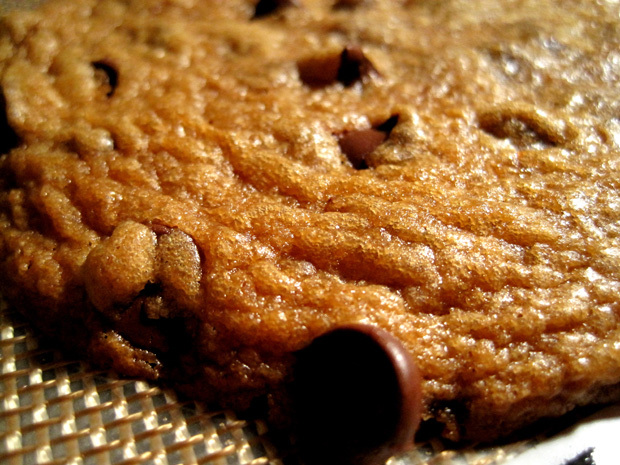 Chocolate chip cookies are the holy grail of home bakers. To not have one in my arsenal of recipes is to let down the baking gods. This grave error must be remedied. And I was craving some chocolate chip cookies anyway. 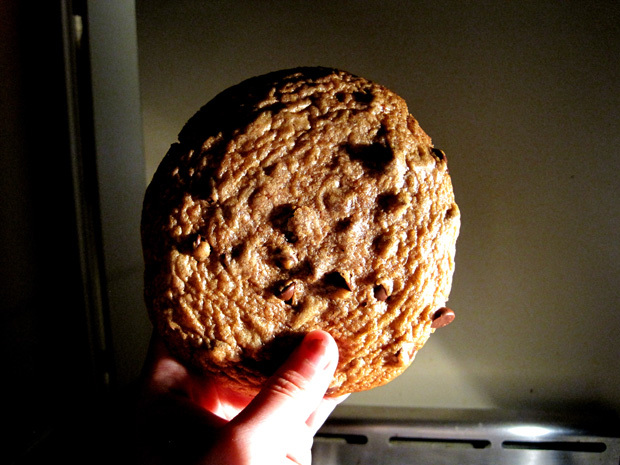 Also, this photo arose because the large, crevasse-filled surface of the cookie reminded of the moon, and I thought I’d give it some high-contrast definition with the lamp. This recipe is a trusty Cook’s Illustrated one. The recipe itself is a little finicky in terms of steps – you have to brown the butter, and there’s a convoluted whisk-30-seconds, rest-3-minutes x 2 step in order to incorporate the egg into the butter-sugar mixture. But at least that’s way easier than trying to cream butter without an electric mixer, and also unlike many other successful chocolate chip cookie recipes (read: Jacques Torres NYTimes’ chocolate chip cookies) does not require a rest period. This is as close to instant gratification as you’d get! I really enjoy the balanced flavors in these cookies. They’re not too sweet, and are well-balanced with the amount of salt and the nutty flavors from the browned butter. However, my cookies seemed to fall a little flat. I think letting them chill before baking would create a cookie with more height. Regardless, these were very tasty and I’d definitely make them again.